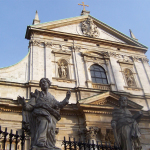 Jasna Góra Monastery in town of Czestochowa is one of the greatest pilgrimage sites in the Christian world and the most famous Polish shrine. 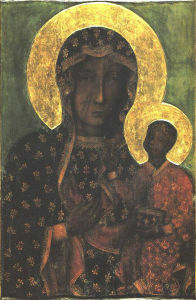 A Byzantine icon, brought to the monastery in 14th century, known as the Black Madonna of Czestochowa is the destination of the pilgrims.  The Lady of Czestochowa has been proclaimed a “Queen of Poland”, and is the symbol of Polish national and religious freedom.